CASp is a program started by the state of CA to help property stakeholders achieve compliance with the law. A CASp report entails 1) an inspection of the site in question, and 2) a detailed report that itemizes remiss conditions. Achieving compliance doesn’t mean that a given site needs to be 100% compliant. Under the law, property stakeholders only need to comply with items that are not unreasonable hardships, given physical, code and financial constraints. Getting a CASp report is the first step to compliance. With a CASp report, you get certain legal benefits defined by the state of CA for future lawsuits. A CASp report either covers the landlord controlled area only, or the complete public accommodation area. Landlord controlled areas are, in general, the exterior areas of a site and any common building elements such as elevators, stairs or restrooms outside tenant spaces. The ballpark figure for a CASp report is $1,000 for exterior only inspections of strip malls under 30,000 square feet of leasable space. For a more detailed break down or for other kinds of sites, please contact us at 866 982 3212 or at help@accesssolutionllc.com. 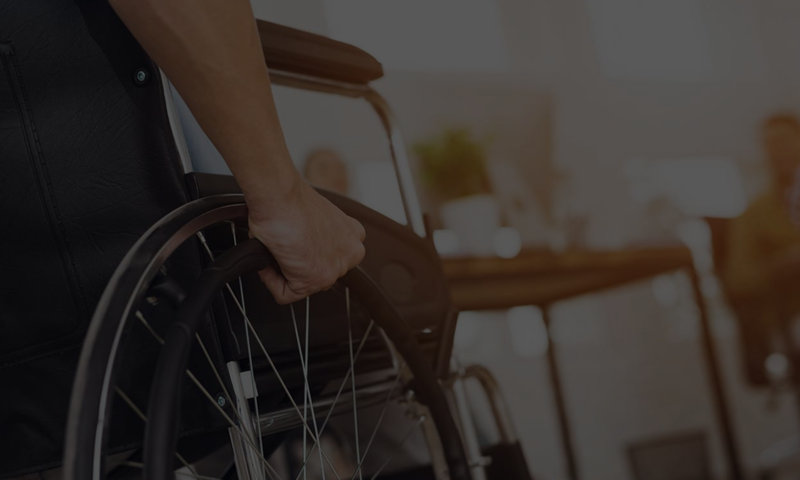 Peer Accessibility Plan Reviews: For stakeholders of larger sites, or or for stakeholders needing additional detail advice, our lead architect, Yung Kao offers review of plans. UFAS Certification: UFAS is the Uniform Federal Accessibility Standard. Federally funded sites, such as housing, need to be in compliance with UFAS. Expert Witness: In the off chance you face a lawsuit, we also offer expert witness services. Thank you for your consideration. Even if you are unsure if whether or not to get an accessibility survey, call us with your specific questions. We feel that general information should be FREE. It’s the custom experiences which we have to charge for. Any questions, comments, or concerns? Don’t hesitate to call at 866 982 3212 or email to help@accessolutionllc.com.